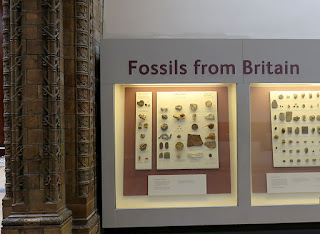 One my favorite places in the British Natural History Museum is the small wall display of Fossils from Britain. 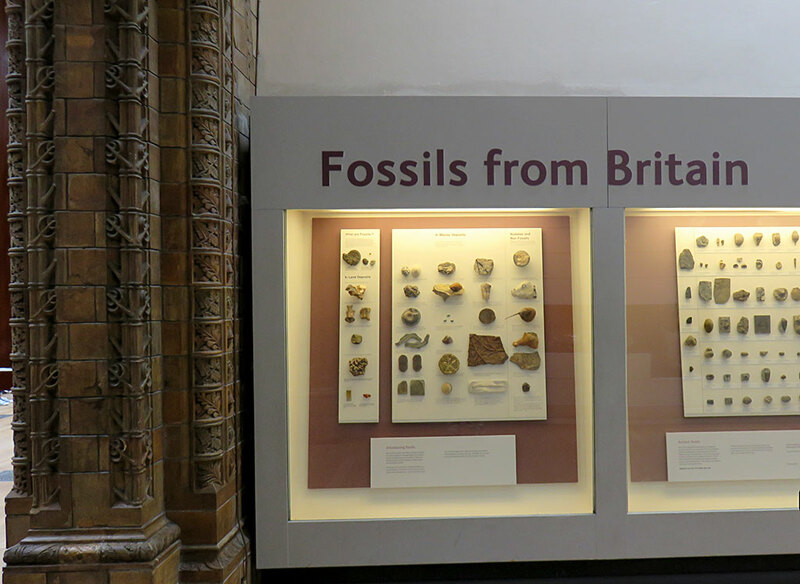 It is located in between their world class collection of marine reptiles and one of the gift shops. It has a sampling of a lot of Paleozoic invertebrate fossils like what I find in the Louisville area. My interest in Middle Silurian marine fossils was well represented in their Wenlock series which is very similar to the Waldron Shale. 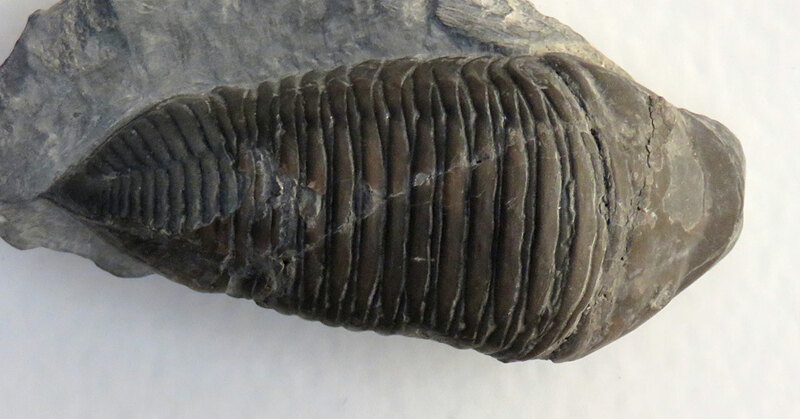 This posting shows a almost fully intact Trimerus delphinocephalus (Green) prone trilobite. It was found in the Silurian Period Wenlock series of Dudley Worcestershire England. Image taken August 2016. It is similar to what I have found in the Waldron Shale.